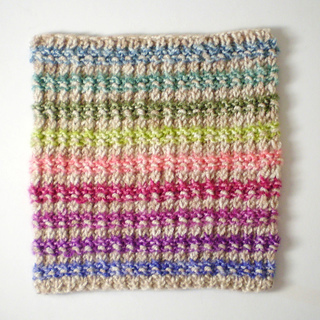 This is the fourth in a series of 50 patterns for a knitted sampler blanket, to be published weekly throughout 2018. 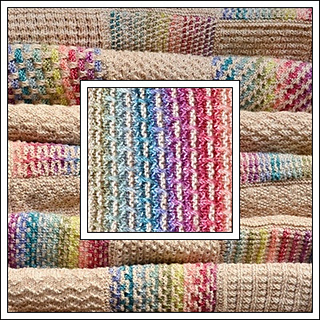 The blanket is made up of 48 squares, a border and an edging, each featuring a different stitch pattern or technique so the whole project is a masterclass in knitting. As well as written instructions, charts are included for each of the squares. 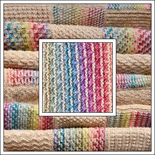 This ‘Heel and Close Stitch’ pattern uses a stitch pattern familiar to sock knitters – heel stitch - combined here with its close relative, close stitch. 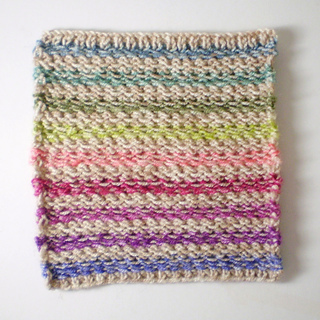 This square will lie flat and looks good, if different, on both sides.